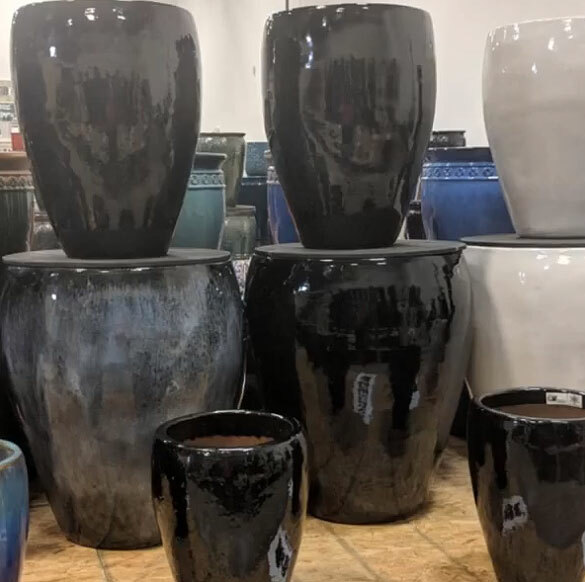 This week, the owners of the Reston Farm Market, Bonita and Lowell Weinstein, were visiting Michael Carr from Michael Carr Designs as they were selecting new pottery designs for the upcoming season. Each year they keep experimenting and refreshing the collection with updated colors and styles - all stunningly beautiful and unique. Michael Carr Designs garden pottery is truly special - each piece is hand-made and thus unique. Moreover, their pottery is freeze and frost resistant. 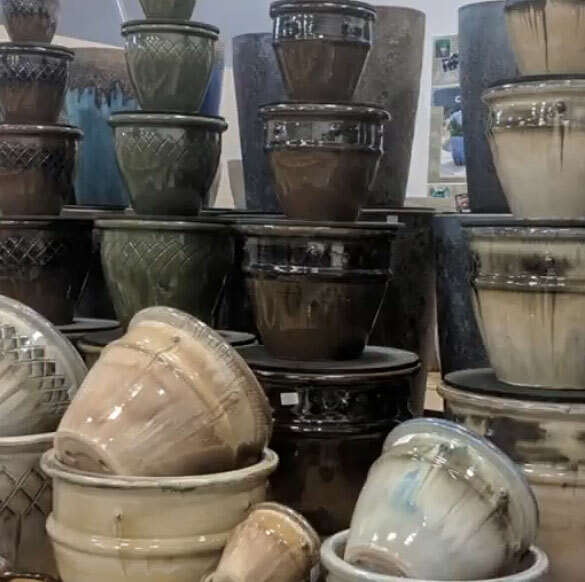 We can't wait to show the new garden pottery design selection to our customers at the Reston Farm Market. Stay tuned!